ISTANBUL -- There once was a time, and candidly it was not all that long ago, when if you said, "Turkey," referring to the country, not Thanksgiving, the reference that not infrequently came to the minds of many might well have been the Oscar-winning movie "Midnight Express," depicting American Billy Hayes' time in an infamous Turkish prison, caught trying to smuggle two kilos of hashish at the Istanbul airport. In some ways, Istanbul now is as it was when Hayes was here. As it ever may be. When the sun rises over the hills, it reveals the beauty of mosques and minarets reaching toward the sky. Several times a day, the cry to prayer still beckons the faithful. Yet this city -- now teeming with nearly 15 million people -- is, in many ways, unrecognizable from the time Billy Hayes met his fate, moving to embrace a new era. Skyscrapers now dot the skyline, too. Billboards are everywhere, and some of them show pretty girls in nothing but fetching green camisoles. A fancy upscale mall on one of the city's main streets features not only shops like those you could find in London but Wagamama, the noodle chain, too. This is the message Istanbul is carrying to the International Olympic Committee as it presses its bid for the 2020 Summer Games: it, like Turkey, has arrived on the world stage, and the Games would not only cement that arrival but further propel Istanbul's development as one of the world's great centers in the 21st century. As Turkey's president, Abdullah Gül -- who bears a resemblance to the American actor, George Clooney -- said in an interview with a small group of international journalists Sunday, the meeting taking place at a former hunting lodge about a half-hour from Istanbul's historic waterfront, "We are very ambitious in this bid." Madrid and Tokyo are also in the 2020 race. The IOC is due to pick the winner Sept. 7 in Buenos Aires. An IOC evaluation team on Sunday went through the first of a four-day tour of Istanbul's plan. It spent last week in Madrid. It saw Tokyo March 4-7. Madrid and Tokyo are both well-developed world capitals. Each already has most of the infrastructure needed to stage an Olympics. Tokyo would spend $4.9 billion to ready for 2020, and has it in the bank; Madrid's infrastructure costs -- this is its third straight bid -- are estimated at $1.9 billion, which in this kind of competition is remarkably low. For those two cities, the challenge is to present a compelling narrative about why the IOC ought to pick one or the other. In Istanbul, it's a completely different story. Here the sell is full of strands and would seem, at first blush, crazy easy. It's a "bridge to excellence," or whatever their new slogan is going to be -- they're going to unveil it sometime this week. This is Istanbul's fifth bid. It tried for the 2000, 2004, 2008 and 2012 Games. The 2012 bid was cut before the final round; the 2008 campaign, which took place in 2001, made it to the finals but then was eliminated in the second round, with only nine votes, Beijing winning handily with 56. "Turkey bid four times as an emerging nation. 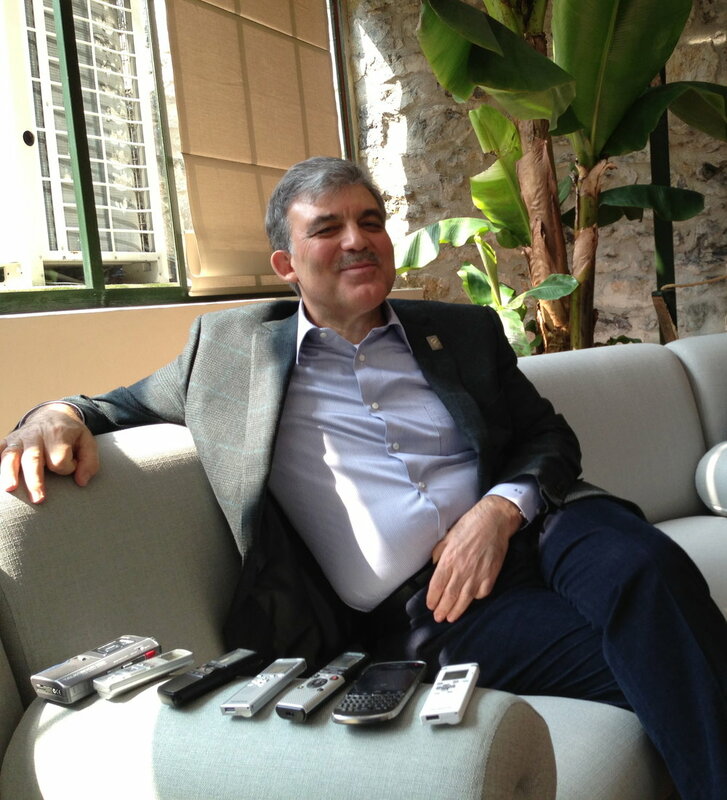 This time," bid chairman Hasan Arat said at a Sunday night news conference, "Turkey is bidding as an emerged nation." These would be the first Games in a Muslim country. These would be Games linking -- literally -- Europe and Asia. Imagine, Arat said, seeing rowing in Asia in the morning and golf in Europe in the afternoon. These would be Games befitting the IOC's expansionist trend in recent elections in recognizing the strength of assertive regional and global players (see, for instance, China 2008, Russia 2014, Brazil 2016, South Korea 2018). In Turkey, the challenge in this 2020 election is not why but how. Because rarely in life is anything worthwhile ever crazy easy. It's not just the technical piece -- meaning, can they get it done, and on time, and on budget? It's -- in this environment, can they get roughly 55 voters in the IOC to believe all that can happen? The Istanbul 2020 plan proposes the spending of $19.2 billion in infrastructure. That is 10 times Madrid's figure, and that is certain to be an issue in a world in which finance makes for front-page headlines day after day. That infrastructure is, by design, spread out. It would link four sports-related clusters. For better or worse, the Rio 2016 plan is also a four-cluster plan. As everyone who moves in Olympic circles knows, the Rio project is dogged by delays so significant that comparisons to the Athens 2004 Games are now matter-of-fact. Istanbul is not Rio. The comparison is hardly perfect. Nor is it, maybe, fair. But IOC elections are not fair. What matters are perceptions. And this election is going to take place in September with Rio absolutely part of the dynamic. And Sochi 2014, too. Costs there have risen to more than $50 billion. Getting around and between the four Istanbul clusters is going to be one of the issues sure to draw close attention in the evaluation commission report, when it is released before the IOC's all-members meeting July 3-4 in Lausanne, Switzerland, on the 2020 race. The IOC came here knowing the traffic was a bear. Usain Bolt runs 100 meters in nine-pus seconds. Along the waterfront Saturday night, it took more than five minutes to go the same distance in a car. The locals shrugged the same way they do when they talk in Los Angeles about the 405 -- it's life. The Istanbul team, for its part, came prepared to show the aggressive tack they're taking in building a metro system, aiming to change the way people get around town. The commission even took a ride Sunday on a brand-new line out to what is already being called Olympic Park, a development northwest of the waterfront. By 2018, Arat said, the metro system will feature some 264 kilometers -- 164 miles -- of rail lines. On the road, it took just under 45 minutes to get back from the would-be Olympic Park to the waterfront. This was on a Sunday night. It's life. There are two schools of thought about such a drive. One is that this is precisely why you have an event like the Olympics. It super-charges development; for public policy wonks, you get done in seven years -- because of the fixed deadline of an opening ceremony -- what might otherwise take 20 to 40. The other school holds that this is exactly why you don't plunk an event like the Olympics in a place like Istanbul. If it already takes 45 minutes and you are about to load in thousands more people, most of whom don't speak the language and it's the middle of summer -- is that a recipe for racing in the streets? Proponents of the second school, moreover, would point to, say, Beijing. It's four and a half years after the 2008 Games, they would note, and given all the infrastructure improvements there, would the pollution levels now in Beijing suggest that people are driving less, or more? To say here in Istanbul, however, that they prefer the first of those arguments would be a gentle understatement. They are brimming with confidence. It's almost as if they feel as their time has come. Indeed, Gül went so far Sunday as to list the several reasons why, in his words, "we deserve" the 2020 Games -- political stability, economic growth, meaningful physical legacy, an event that at the center of the western world that could cross cultural, religious and racial boundaries. "Deserve" in Olympic bidding is a concept fraught with peril. Even so, in Turkey, right here, right now, they might ask -- remember James Bond? The guy from the London 2012 opening ceremony? He didn't lack for confidence. That guy filmed his last movie here, "Skyfall." And it was a blockbuster. Arat, welcoming a handful of international reporters to town Saturday evening, said, "We believe very much in our concept and in our city. We are in it to win it." Older PostMadrid's intriguing test: is IOC ready to listen?